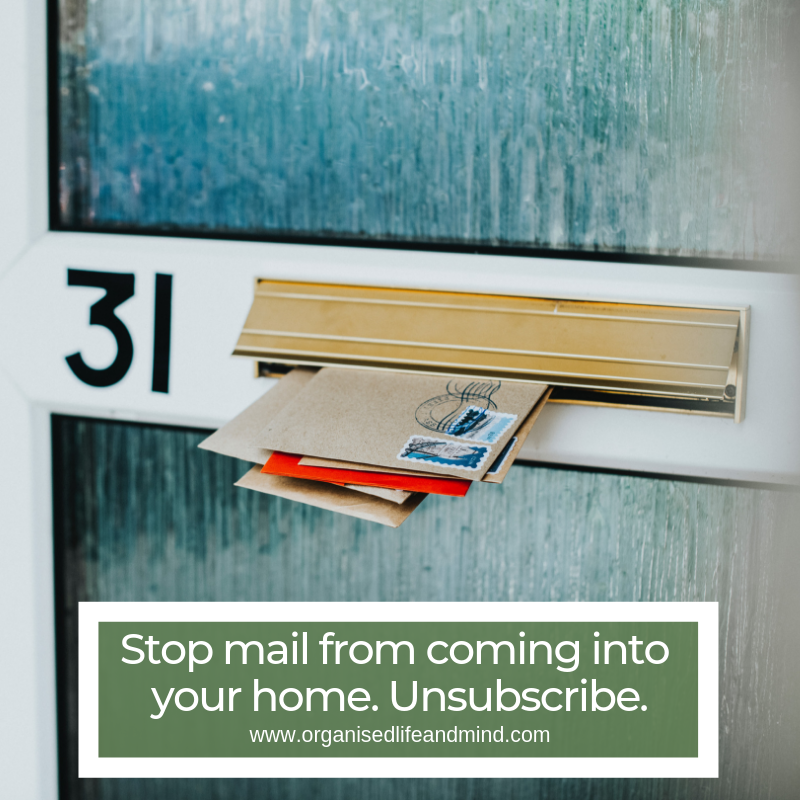 You may come home and drop off the day (and all the stress you may have experienced) as soon as you go through your front door. Kick off those high heels, throw your gym bag in the corner and drop your mail on the landing strip. Does this sound familiar to you? It is for us! First thing after turning off the lights is taking off our shoes! This week, we’ll start by finding a home for every item in your entry hall. Where’s the right spot for laptop bag? Where should the keys go? Does every jacket need to hang in your entry? You may find that certain items don’t need a place in your entry. Winter boots don’t need to take up precious space in your entry hall. As we’re approaching the warmer seasons, put them away. You may store them in a higher part of your closet, underneath your bed or possibly also in the attic or basement. Just like your shoes, remove those jackets no longer suitable for this season. Store them together with other seasonal wear away from the frequently accessed areas, just like described above. How many scarves, hats or gloves do you have in your entry hall? Do you use them all every day? If not, consider if they, just like your sunglasses, watches and jewellery may be better kept in your dresser or wherever you store them? Check which keys you have laying around your entry? Where do you keep them? You can quickly throw them into a bowl or hang them on a board. 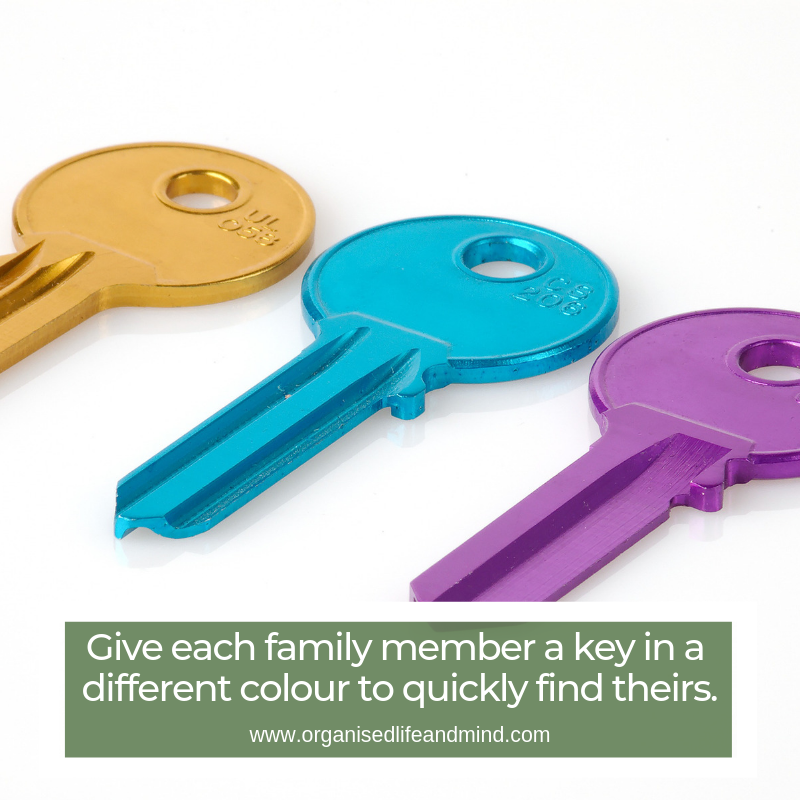 The latter may give smaller children more responsibility for their keys. Do you know for which door they are? If not, throw them out. Alternatively, if you’re not yet ready to part with them, put them in an old jar, label it “lost keys” and place it underneath your sink. Whenever you need a key, but don’t know where it is, you may check the lost keys jar. 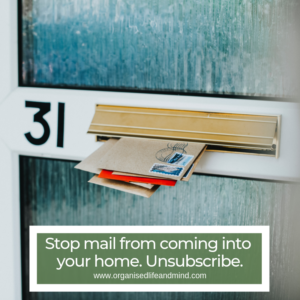 We are lucky to live in a city where most paper mail has been eliminated. Due to our geographic location, we receive all bills via email only. Every so often, we find a letter or a flyer in our mail box. For anyone who receives more mail than us (should be most people outside this city), where do you take your mail? Do you leave it in your entry hall? Do you take it to your dining table or open it on the couch? What do you and your family do as you enter your home? Based on your very personal behaviour, you can create your own landing strip. A landing strip? Yes, Apartment Therapy has used this term (formerly known as drop off zone) for almost a decade now. For them, as for us, an effective landing strip helps you maintain a clutter-free entry hall. And after an exhausting day, we don’t want to see more chaos! If you want to go one step further into Spring and you have the space, add some fresh flowers or a plant to your entrance. After a long and exhausting day, you’ll love the greenery without all the clutter. 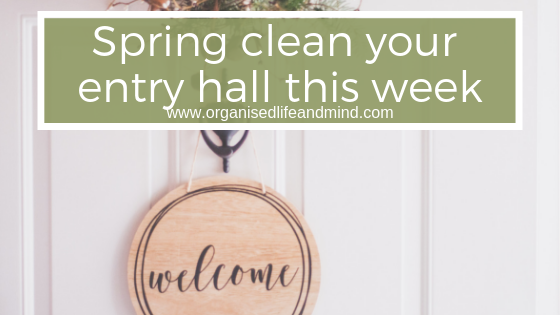 Tell us or show us how you got on with the different spring cleaning activities over the last 4 weeks.